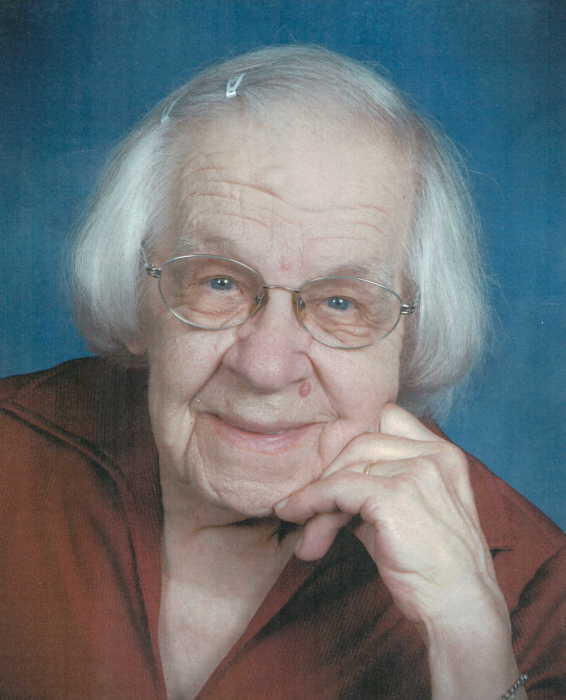 Obituary for Mary E. (Hink) Ames | Kroeze-Wolffis Funeral Home, Inc.
Mrs. Mary E. Ames, age 93 & a lifelong resident of Newaygo, passed away on Saturday, February 2, 2019 at her home. She was born on May 29, 1925 in Grand Rapids, Michigan to Edward & Hulda Hink. Mary was a member of St. Bartholomew Catholic Church in Newaygo, she was a seamstress, and she enjoyed gardening. On October 16, 1954 she married Robert Ames and he preceded her in death on August 6, 1966. She was also preceded in death by her son-in-law, James Emmons; by her granddaughter, Jennifer Ames; and by her brother Louis Hink. Mary is survived by 6 children: Martha Emmons of Newaygo, Rose (Paul) Berger of Houghton Lake, MI., Patricia Ames of Houghton Lake, MI., Edward (Jane) Ames of Fremont, Karen Ames of Seattle, WA., Diann (Edward) Powell of Grand Rapids; 6 grandchildren: Kristie (Sandeep) Shah, Mike (Jessica) Ames, Dan (Sarah) Ames, Cait Powell, Liam Barry, & Aidan Barry; 7 great grandchildren: Cameron, Connor, Kaitlyn, Abby, Hannah, Jessica, & Rachel. The Mass of Christian Burial will be held at 11:00 AM on Friday, February 8, 2019 at St Bartholomew Catholic Church in Newaygo with Fr. Steve Geerling as Celebrant. Visitation will be at the Kroeze-Wolffis Funeral Home from 5-7 PM on Thursday, where the Rosary will be prayed at 6:30 PM. Interment will be at St. Bartholomew Catholic Cemetery. In lieu of flowers, memorial contributions can be given to Love INC of Newaygo County. You can sign the online guest book at www.kroeze-wolffis.com. Arrangements are by Kroeze-Wolffis Funeral Home, Inc. of Fremont.